The SFF-8484 is an early SAS connector spec used primarily in SAS 1.0 3Gb/s applications. The SFF-8484 is a 32-pin plastic-bodied connector and is commonly known as ‘4i Multilane’. 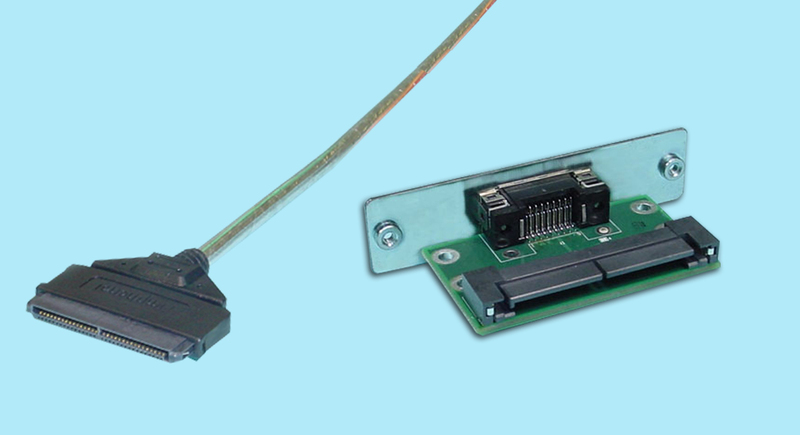 CS Electronics has offered a vast variety of ‘hybrid’ cable assemblies and pcb I/O adapters utilizing the SFF-8484 connector since 2005. • SAS SFF-8484 is also used in Infiniband and CX4 applications. in most any connector configuration and length option.